Arlys A. 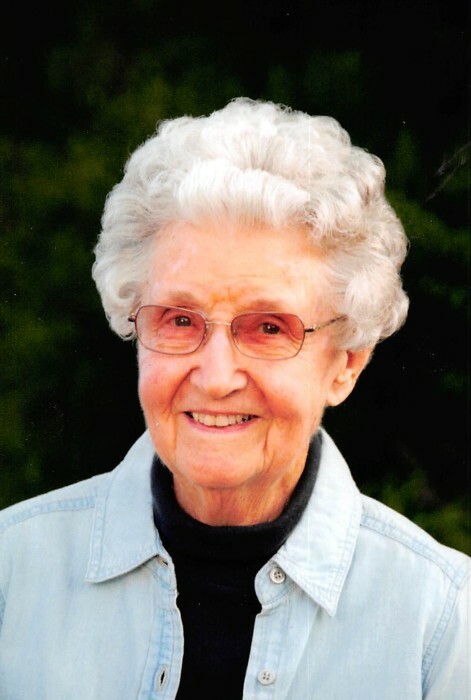 (Dedert) Rabe, 88, of Rural Mendon passed away on Thursday, January 18, 2018 at the Bickford Cottage in Quincy. Arlys was born on September 16, 1929 in Bloomfield to the late Elmer and Emma (Reichert) Dedert. She married Otis Eugene “Gene” Rabe on September 21, 1949 in Luther Memorial Church in Quincy. Gene passed away on August 18, 1999. Arlys was baptized on May 4, 1930 in Luther Memorial church in Quincy, with Mildred Reichert as her sponsor. She was confirmed into the Lutheran faith at age 14 on June 13, 1943, Also at Luther Memorial Church in Quincy. Arlys was a member of Salem Lutheran Church in Mendon. She was a volunteer with the Red Cross Waterbugs, a 20 plus year board member of the Ursa Retreat House, an avid blood donor and a member of the Unit 4 PTA while all of her children were in school. She refinished the Church pews at Salem. She really enjoyed serving her church and community in any way that she was able. Surviving are; five Children, Sherrie (Ronald) Harms of Mendon, Jana Orr and her companion Terry Reiter of Ursa, Carla Rabe of Quincy, Lynn (Jerry) Fecht of Carthage, Eric (Danette) Rabe of Rural Mendon; seven grandchildren, Kara (Warren) Hull, Kori (Mark) Braden, Kyle (Jenna) Fecht, Brandy (David) Reid, Kelum (Melissa) Fecht, Shannon Rabe, Claire Rabe; seven great-grandchildren, Kailey and Karson Hull, Ashton and Razia Braden, Weston and Charley Fecht, Eleanor Reid; two sisters, Alta Lee Homan of Quincy, Myra Jean “Jeannie” (Wilfred) Dittmer of Quincy; One Cousin, Ron (Mary Jo) Dedert of Quincy; two sisters-in-law, Evelyn Dedert, Helen Rabe; one brother-in-law, Victor Junior Shriver and numerous nieces and nephews. She was preceded in death by; one son-in-law, DeWayne Orr; one brother, Marvin Dedert and two sisters, Ruth Yager and Delma Callahan. Services will be 10:00 A.M. on Monday, January 22, 2018 in Salem Lutheran Church in Mendon with Mallorie Egbers officiating. Interment will be in Mendon Cemetery. Visitation will be from 2:00 P.M Until 4:00 P.M on Sunday, January 21, 2018 in the Hunter Funeral Home in Mendon. In Lieu of flowers memorials have been suggested to Salem Lutheran Church or the Ursa Retreat House Building fund. You are invited to share memories of Arlys and leave condolences at www.hunterfuneralhomes.com.